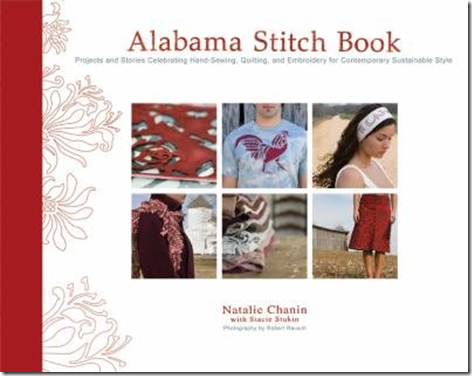 And so, when I saw the Alabama Stitch Book by Natalie Chanin I snapped it right up. This is right up my alley.. The beautiful hand sewn garments, mixed with embroidery and appliquÃ© are something that I really love. The simple country style.. is lovely. 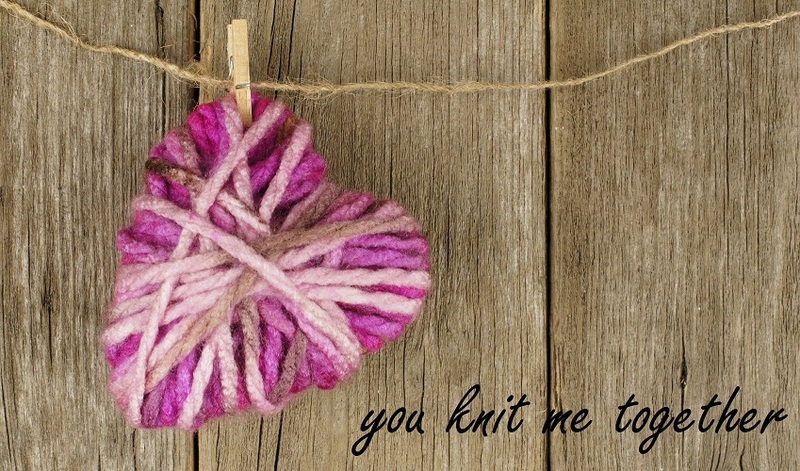 The use of recycled materials like t-shirts and old quilts wonderful! 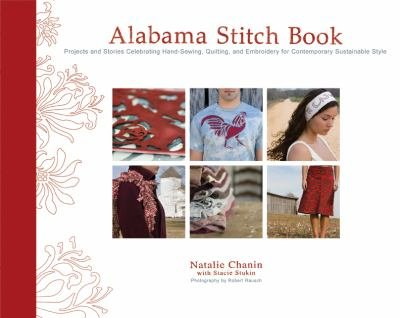 The book is chock full of great ideas that you can use and make your own. 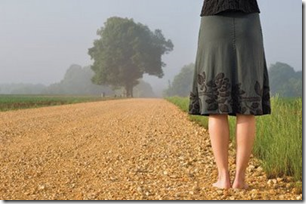 Stuff you can run with because they have covered the bases with you! And not only is it chock full of ideas, the book itself is a treat, from the beautiful photos to the cloth spine it is a feast for the eyes and the fingers.. I love to just hold it and flip through the pages.. I definitely encourage you to pick it up if you see it at the bookstore.. and browse through the pages.. but be warned, you might not put it back down! I will show you the finished product of that pink shirt tomorrow on Finished Friday, as well as a little knitting I have finally gotten done!! 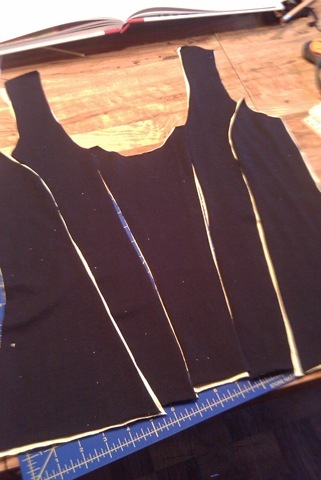 And perhaps a shot of that other stitching project I hinted at a while back! 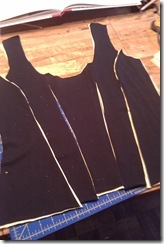 For now here is a peek at the beginnings of my first ever garment.. a corset made of recycled t-shirts from the book! 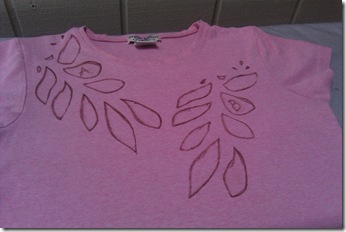 Iâ€™ll be testing out a reverse appliquÃ© on it as soon as my stencil paint dries! Send me an email! (silversistersstudio !at! gmail.com) You commented on a post on my blog in which I was offering to interview one of the commenters! You are it, but I can’t find an email address for you anywhere. 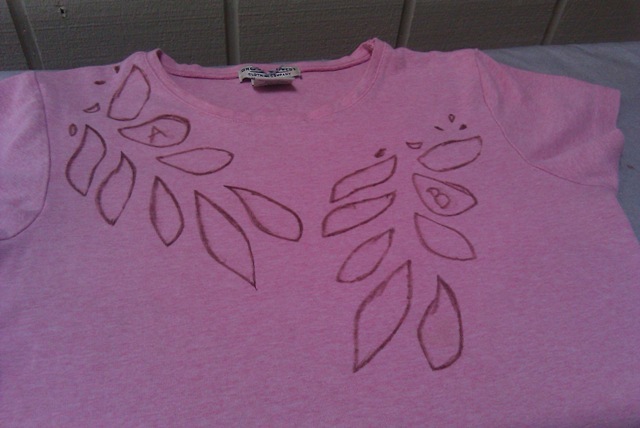 Pingback: CraftFail » Blog Archive » Craft Corps Craft Fail!